A low profile padded undershort suitable for commuters and multisport sessions. The 2012 padded undershort uses a brand new pad from CyTech. The pad has been engineered and tested for multi sport (Triathlon) use at CyTech’s facility in Italy. This makes it the perfect commuter undershort when you need a pad that offers protection in the saddle but isn’t uncomfortable to walk or even run in. By using a high-density foam, the pad has a slimmer profile yet still offers maximum protection. The patented Elastic Interface technology allows freedom of movement without chaffing. The cut of the short is very similar to a pair of regular formfitting underwear shorts, making them an easy choice for the commuter or short session rider who wishes to stay low key. The leg openings are elasticated to grip the thighs, and prevent riding upwards. This undergarment is made from a lightweight stretch polyester fabric, which wicks moisture away from the skin and dries quickly. Note: Leg opening have been opened up a small amount compared to the previous model in response to customer feedback. 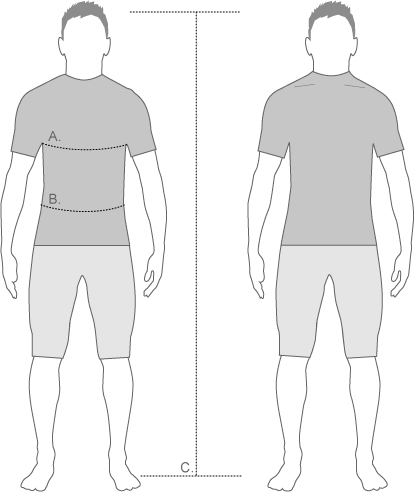 dhb slim fit clothing is cut for an anatomic fit; the garments sit closely against the skin to provide efficient moisture transfer and improved aerodynamics without restriction or excess fabric. Slim Fit offers the perfect balance of performance and comfort for training, club and sportive riding. I am usually a 32" waist and wondered if these come up big or small as not sure whether to go with a Small or Medium size? Additional information about steve75 could not be loaded. Additional information about Jack24 could not be loaded. I'm a size 32 and got the medium size.Perfect fit. Additional information about Mondo666 could not be loaded. My waist is usually a 33, can sometimes just manage a 32 fit - i have the Medium and it fits like a dream. Additional information about SugarD could not be loaded. Additional information about Jabberwoc could not be loaded. I have 30" waits and Small is good for me. May be medium would be good for 32"
Additional information about Activeone could not be loaded. I have a 33" waist (196 cm tall weighing in at 84 kg) and I bought these in size XL and the fit perfectly so I think things will get squeezed a bit, especially if you opt for the size S.
Additional information about Klintan could not be loaded. I have to beg to differ - I ordered the medium based on these comments, and they don't even come close to fitting. I'm usually a 32 in Jeans, but these are way to tight, and have to be returned. Additional information about melbourneirish could not be loaded. Additional information about Adiandy could not be loaded. Additional information about Solabristol could not be loaded. I can confirm that the dhb range of clothes tends to come up true-to-size, if a little on the big size. Close to Altura sizing, a little more relaxed than other brands. I hope this helps.